1. 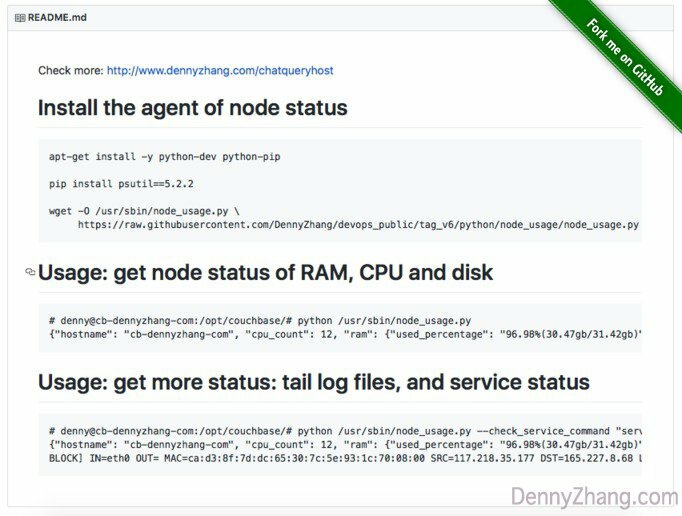 Install nodeusage.py For Each Nodes. It will get status for each node as a json output. OS resource utilization: RAM, CPU, and disk. [Optional] Get service status, or tail log files. 2. Start A Web Server, Serving Slack Requests. It will start a webserver with Python flask + uwsgi. Get requests from Slack input. Run remote ssh command, which is literally nodeusage.py. Code is GitHub. (Warning. I admit: It’s not well documented. Just F.Y.I). 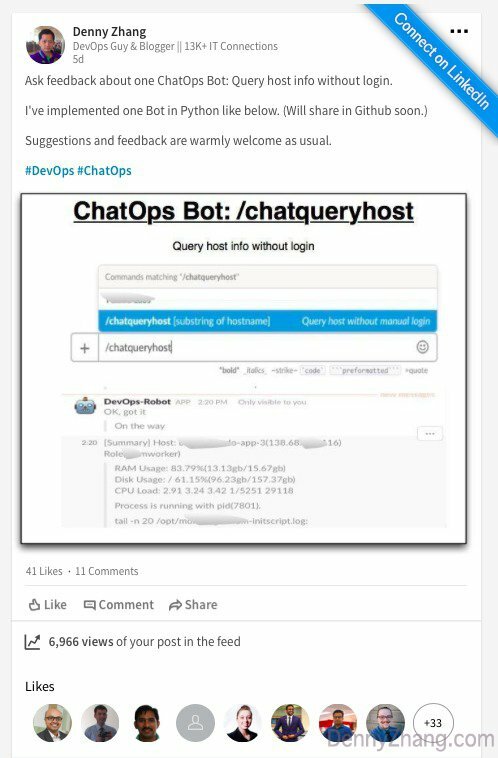 You can design and implement your own ChatOps solution for this. Slack command must return within 3 seconds. Instead of running ssh commands, it’s safer to wrap py script as agents. Then the agent serves as a tcp or http server. Support find node by fuzzy match. Your env may have tens of nodes, if not hundereds of. So support people to identify node by giving part of hostname. Not saying the idea doesn’t have merit. It does, and it’s useful. Just that I’m concerned about how easy this would be for a rogue employee to abuse. Admittedly I’ll need to dig into the workings more to dissect how it works. But this is the area that most concerns me. James, I agree we shouldn’t forget security. 1. For small teams, I think we’re fine. 2. For big groups, we can enforce whitelist check based on slack users. Thus only selective members can run this in slack. Do you see any risks or issues about this approach? 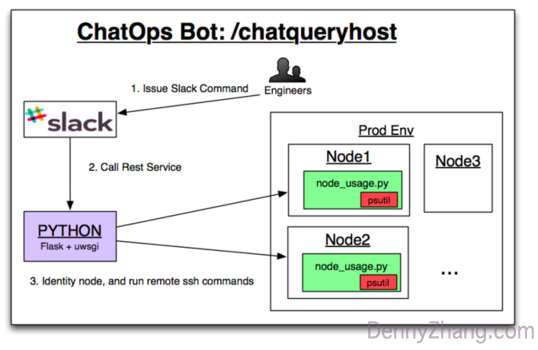 It’s a wonderful platform to develop the ChatOps plugins against your websites.